We’re having a sale! It’s Ginger Scraps 9th Birthday and this week is full of fun and festivities! Including a great challenge hosted by me! 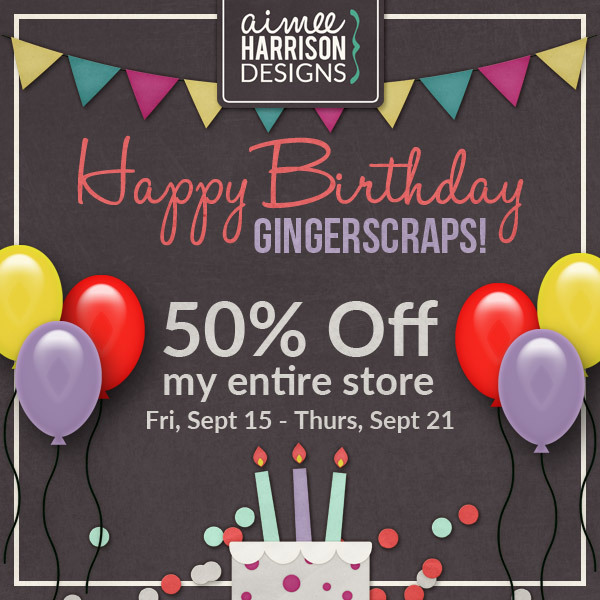 Create a Birthday layout using my Birthday mini and get a $3 Coupon to my store! And be put into a drawing for a $10 Coupon! Go here for more details! « The Bake Sale is HERE!